Zu Audio speakers always look like fun, and sound like it, too. This was confirmed in a brief visit to their room at T.H.E. 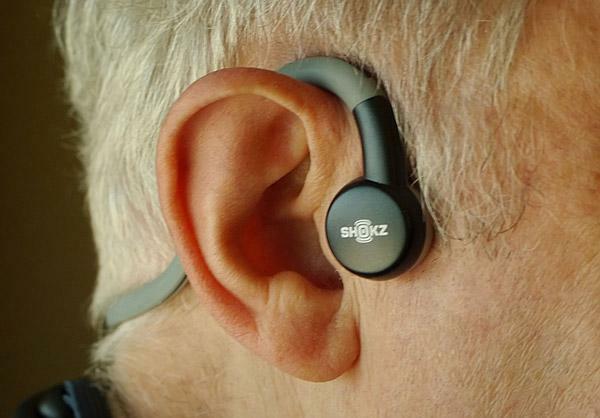 Show, the demo system featuring the latest Definition Mk.IV ($12,500/pair). Somebody should do a study, categorizing the names of audio manufacturers. The most common approach is to name the company after the designer, or to use his initials. And then there are all those names that incorporate the word "audio," "sound," "music," and variations thereof. There are names that give no indication of the nature of the company's products, but are just memorable. 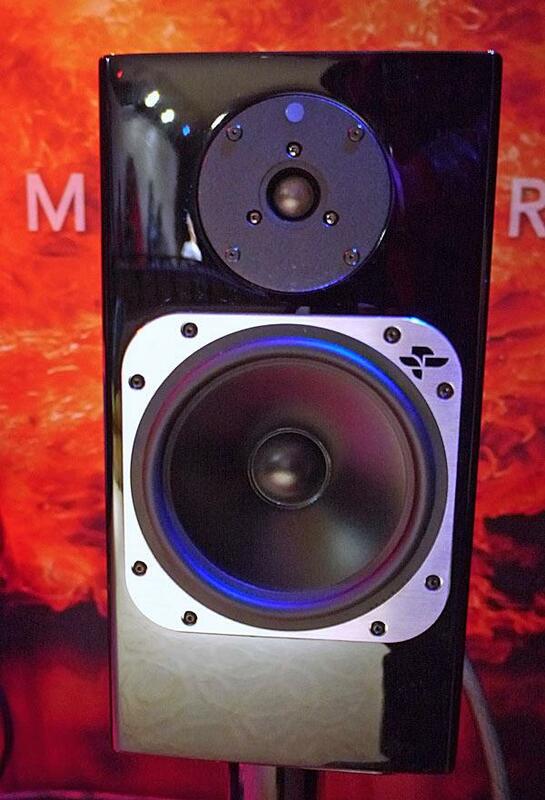 PSB's Synchrony One ($5000/pair) is listed in Class A (Restricted Extreme LF) of Recommended Components, and their Imagine T ($2199/pair) is in Class B. 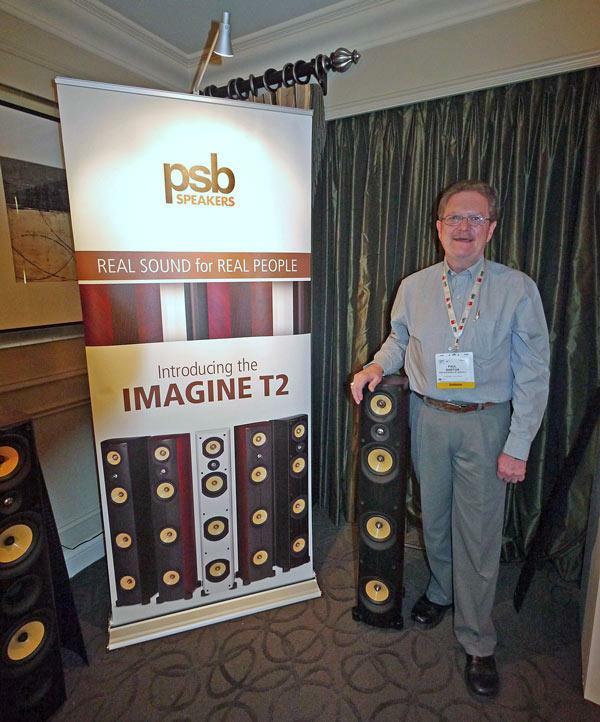 At the 2012 CES, PSB introduced the Imagine T2 ($3500/pair), which, according to Paul Barton (seen in my photo), applies the technology of the Synchrony series to the Imagine T. Like the Synchrony One, the Imagine T2 has three woofers, each in a separate compartment, which are driven together at the low end, and as we go higher in the frequency range the second and third woofer are rolled off gradually at the bottom. 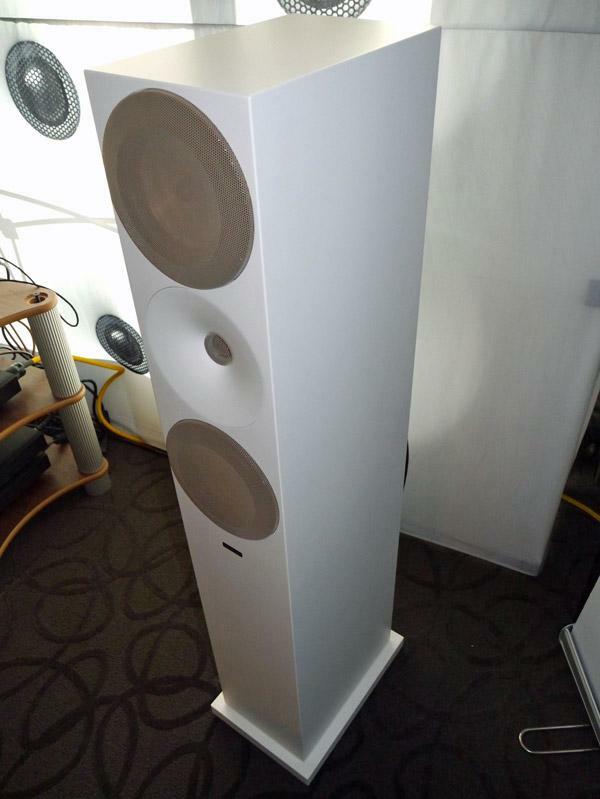 As with Paul Barton's other designs, the tweeter is mounted below the midrange. 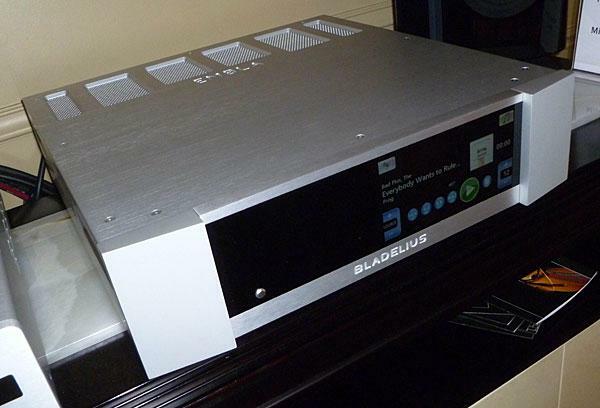 Driven by an NAD C390 all-digital integrated amplifier, the sound had superb clarity and detail, with excellent imaging. My show report assignment was speakers under $15,000/pair, whereas John Atkinson would be reporting on speakers over $15,000/pair. 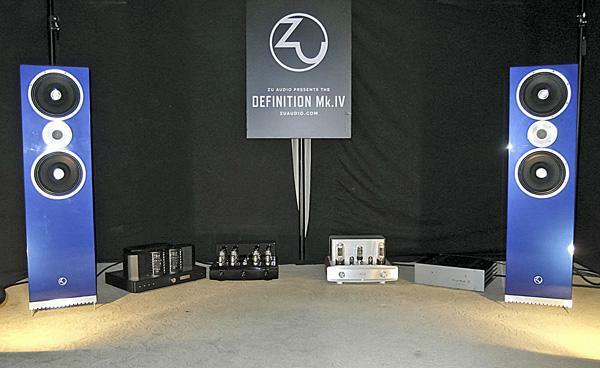 But what about a speaker costing exactly $15,000? That was the dilemma I faced when, on my visit to T.H.E. Show, Peter Bichel Noerbaek told me about his latest speaker, the PBN Liberty (named after his daughter, age 9), which has a list price of $15,000/pair. I told him about the problem this presented for me, and he quickly responded by changing the price to $14,999/pair! The Liberty is a floorstanding three-way that uses what Noerbaek calls "inechoic" (not "unechoic") construction. The cabinet weighs 140 lbs. and is made of 48 layers of MDF. Totem is expanding their Element line, which features bass drivers running full-range up to the tweeter’s passband. The latest speaker in this line is the Ember ($4200/pair) a two-way using a 6" Torrent driver designed and made by Totem. 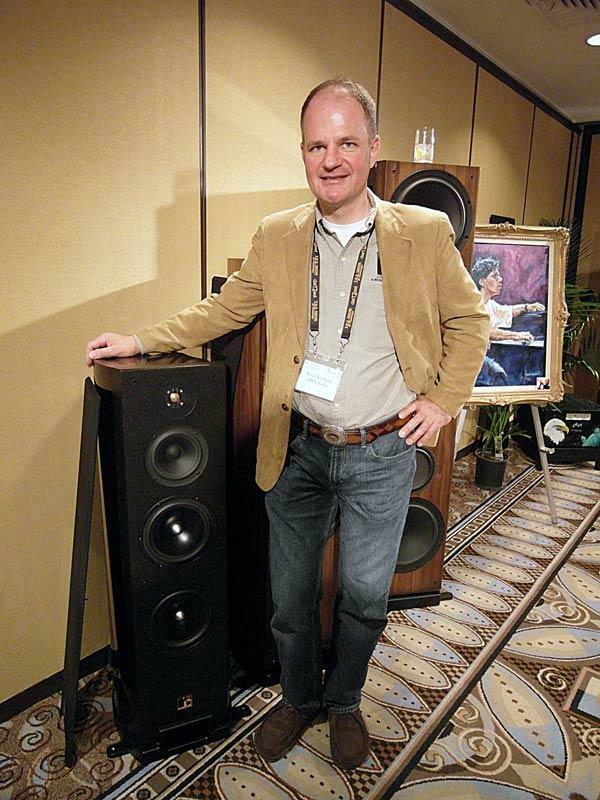 Driven by Boulder electronics, a pair of Embers produced a full-range sound, with the sort of bass that made you wonder if there was a subwoofer in the system. Not bad for a 6" driver! The business card of Dali's Kim Kristiansen states his position as "Director, Innovation." And, to judge by the illustrated talk he gave, Kristiansen and his associates at Dali have been working hard at producing innovations. 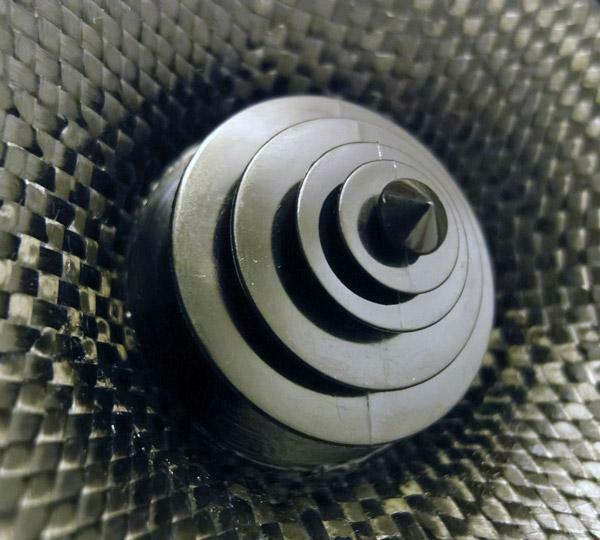 The drivers for their latest speakers have a new linear drive magnetic system that uses a soft magnetic compound (SMC), which radically reduces distortion. Listening to the well-known recording of Misa Criolla on the demo system with the Epicon 6s (Primare CD player and electronics), which incorporates all the latest advances, I was impressed by the clarity and precise focus on the voice of José Carreras. 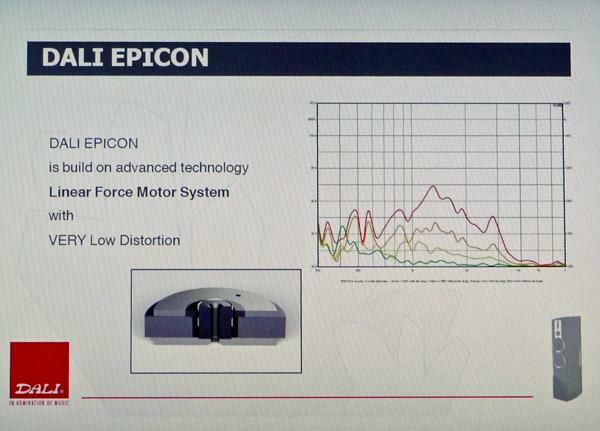 This Kim Kristiansen slide illustrates the effectiveness of Dali's SMC/linear drive magnetic system in reducing distortion. I believe the lowest curve shows the distortion levels of this the wooferbuilt completely in-housethat uses the linear drive magnetic system with SMC. Bladelius has released a new stripped-down version of the Embla shown last year at a very stripped-down price: $3,000. What they've taken out is the solid-state hard drives and disc player, leaving those items to the network. In addition to the front panel touchscreen, here is an UPnP server and custom iPad app as well. 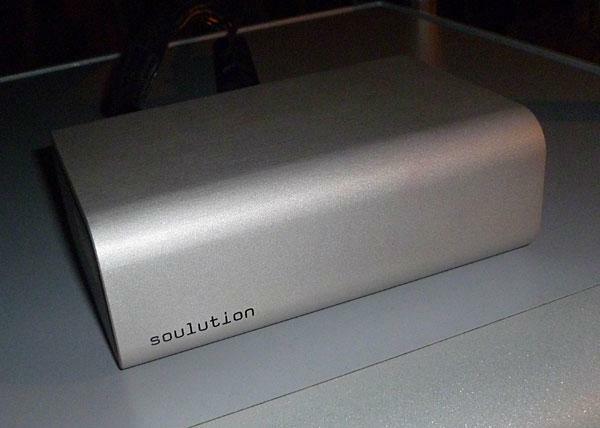 This very simple looking box is Swiss company Soulution's new USB to SPDIF/Toslink/AES converter that will set you back approximately $4k. 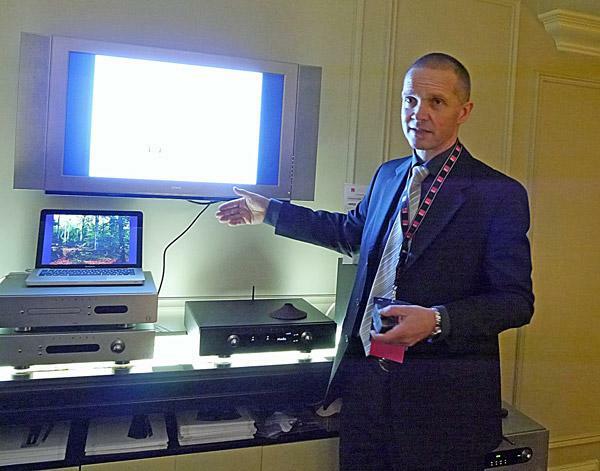 It can handle streams up to 24/192 and can sync with the company's 745 and 540 players. 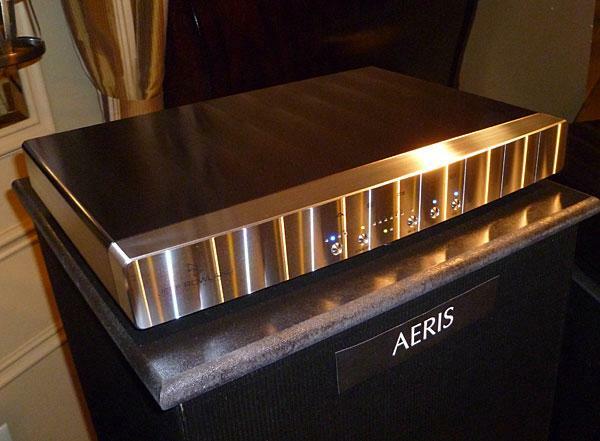 Not officially a new product this year, the Aeris DAC is so wonderful to look at I wanted to include a photo. $9,800. 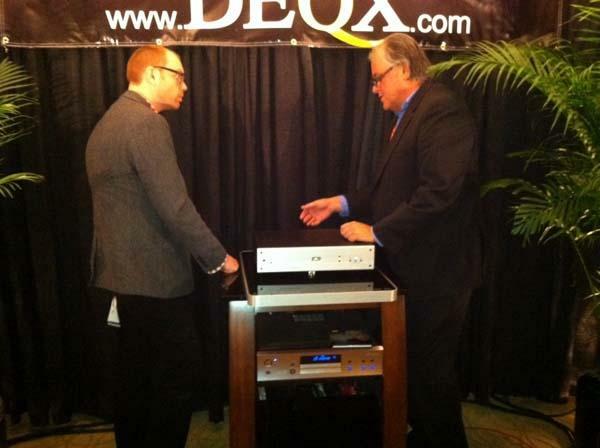 John Atkinson and Kal Rubinson became familiar with DEQX, an Australian company specializing in digital loudspeaker correction and room compensation, during their review of NHT’s Xd active loudspeaker system; I had the opportunity to become acquainted with DEQX at last year’s Rocky Mountain Audio Fest. 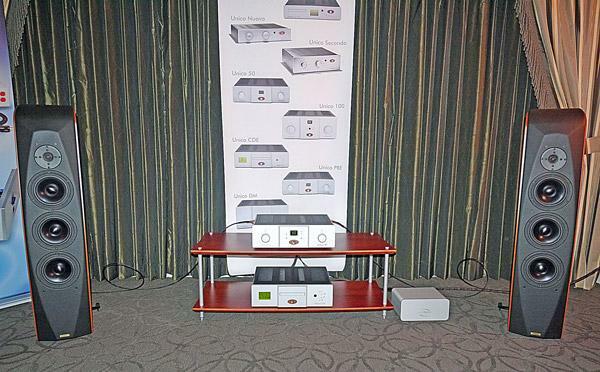 Then, the company gave an impressive demo of their HDP-3 standalone processor mated to a pair of Gallo Reference loudspeakers and Parasound amplification, showing room interaction and examining how the sound of the system could be optimized in the frequency, phase, and, most important to DEQX, time domains. This year, the company gave a similarly impressive demonstration of their new HDP-4 processor ($4995), which should be available in about two months. 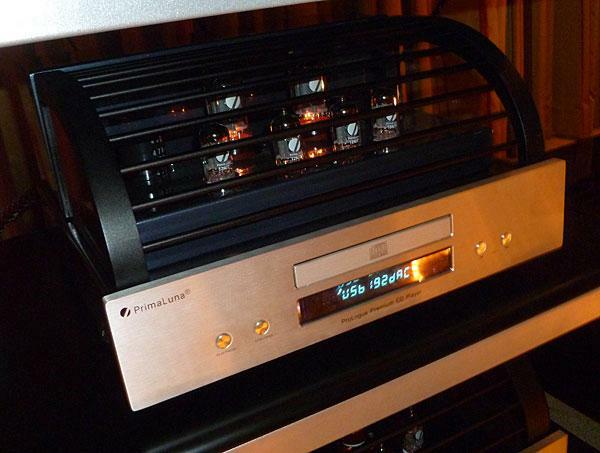 PrimaLuna is adding a new CD player/DAC to the Prologue Premium line available sometime in May at $3,999. In addition to playing discs, there is a 24/192 USB input with circuit design by M2Tech and two super tube clocks.